Home » Financial Tips » Investment » What are the Different Types of Investments? Not all investments involve stocks and bonds. Buying your own home, a college education, collectibles, and life/health insurance are all good investments. These would be more long term, but the return is very good. Investing in collectibles like coins, stamps, and baseball cards can be profitable. Some knowledge of the collectibles is necessary to make the best investments for your money. People with college degrees make more money, so investing in your own education or that of your children is an investment in the future. (Here you can find some examples about how to become a financial analyst. Having life insurance and health insurance protects your savings and investments in case of an unexpected illness or death. Protect your assets by having a lawyer draft your will, durable power of attorney, and healthcare proxy. 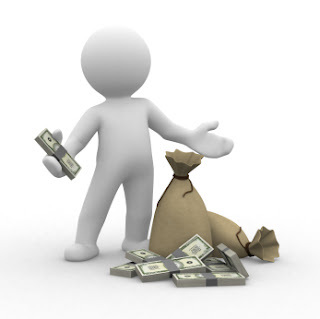 Adjust your withholding if you are getting large tax refunds or you’re loaning money to the government interest-free. Pay off loans early or make larger payments to save on the interest. If you are still in your teens or 20’s and single, you can invest more and take more risks. If you are older or married with a family, you may be limited on the amount you have to invest. Large-cap and Small-cap stocks and IRAs are good investments for younger investors as they take time to accumulate interest. IRAs have a penalty attached if withdrawn before the age of fifty-nine and a half, so they are definitely retirement investments. Your stocks do not have a time limitation and can be bought or sold at anytime. Therefore, investing in both is the best plan for a young person. That way, you have your retirement account and you have your investment portfolio. Australia, India, China, Asia, and Europe all offer opportunities for investment. With the American companies outsourcing to India and the fast-growing pharmaceuticals and auto industry, the outlook for investments is getting better. You can not invest directly into the Indian economy, but can invest through companies like Fidelity India Focus or Jupiter India. The recommended method of investing is through Foreign Indian Investment mutual funds as they are registered in the USA, and are therefore safer investments. Companies like Dodge & Cox International Stock and Artisan International invest about 50% of their assets in Europe and some in the Asian and Latin American markets. Some domestic funds like Fidelity Capital Appreciation also invest in Europe. Choose your investments wisely. Ecology is an important factor in today’s economy, so “Green” businesses may be good investments. Keep track of your spending and savings with a computer program. That way you will be aware of the money you spend, invest, or save. Before you make any decisions, research your options and expected outcomes. Know where your money is going and make an informed decision!